Can Josh Taylor do what Canelo, Prescott and Bradley couldn't do and become the first to stop Miguel Vazquez? Big things, no, huge things are expected of unbeaten 140 pound sensation Josh Taylor. The 26 year old from Scotland has already captured the Commonwealth title along with the WBC silver title, but tomorrow night in Edinburgh, the supremely skilled southpaw faces his toughest test yet. It’s a sign of the sheer belief the McGuigan’s – trainer Shane and former featherweight king Barry – have in Taylor that they are putting him in with the tough and seasoned Miguel Vazquez after just 10 pro outings. Vazquez, who has faced plenty of big names and all manner of styles during his nearly 12-year pro career, held the IBF lightweight title from 2010 until 2014 and he has never, ever been stopped in 44 fights: 39-5(19). Can Taylor beat the 30 year old tomorrow, can he even become the very first man to stop him? Timing is everything in boxing and it is possible Taylor has caught Vazquez at just the right time. Still, the warrior from Guadalajara has won his last four bouts, two of them via stoppage, and even though Vazquez was not facing killers, he wasn’t in with cream puffs either. Taylor may find out that nothing he does surprises or shocks the seen-it-all, done-it-all former champ. A sign of how tough they breed fighters in Mexico is the fact that in his pro debut Vazquez was matched with a 2-0 Canelo Alvarez. Vazquez dropped a split decision but wound up facing a more matured version of the future world champ and superstar in the summer of 2008, when he was again out-pointed. Canelo couldn’t stop Vazquez and neither could top names: Breidis Prescott, Tim Bradley (okay, Tim was never a huge puncher but he sure was a damn fine fighter), Ji-Hoon Kim, Leonardo Zappavigna, Ammeth Diaz, Denis Shafikov or Mickey Bey – and Vazquez actually defeated more than a few of these good fighters. 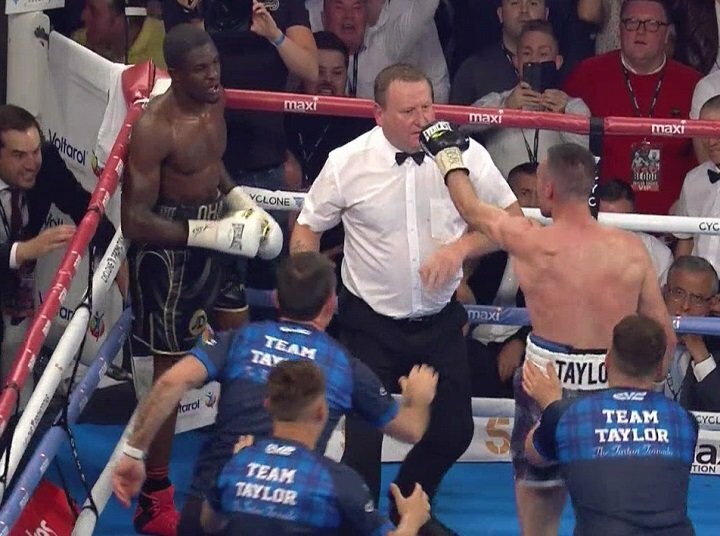 Taylor has looked sensational in his most recent performances; stopping the hyped and trash-talking Ohara Davies to improve to 10-0(9) in his last fight, in July. Like most Mexicans, Taylor is a good body puncher and his speed and timing are both excellent. We could have a great fight tomorrow night. Who wins? Taylor is the pick here, but it could be a hard, close fight. Will Taylor be able to score the stoppage and really make a statement? If so, a world title shot will almost certainly be just months away. Next boxing news: Hughie Fury – A Reflection Of His Cousin? You are here: Home / Boxing News / Can Josh Taylor do what Canelo, Prescott and Bradley couldn’t do and become the first to stop Miguel Vazquez?